"My people are destroyed for lack of knowledge" -Hosea 4:6. To be robust Christian activists, warriors for Christ in the culture we must constantly be fighting for the truth on the very pioneers of truth and knowledge. We must meet people where they are with the timeless truths of scripture and the life of Jesus Christ. We can do this by constantly expanding our knowledge. What is happening in the world? What are the latest events? What do young people, millennials believe today? What are the best arguments for atheism? What are the best arguments for theism? What about abortion? And what of the persecuted church? How can we reach the young with the gospel? It is our responsibility to stay at the forefront of world events and at the forefront of knowledge. Only then can we counter every argument that sets itself up against the knowledge of God (2 Corinthians 10:5). Stay blessed friends, keep fighting, though it looks bad now, our hard work day and night in our culture and society will plant that seeds that fuel the future transformation of our society in the hope and power of the gospel of our Lord Jesus Christ. 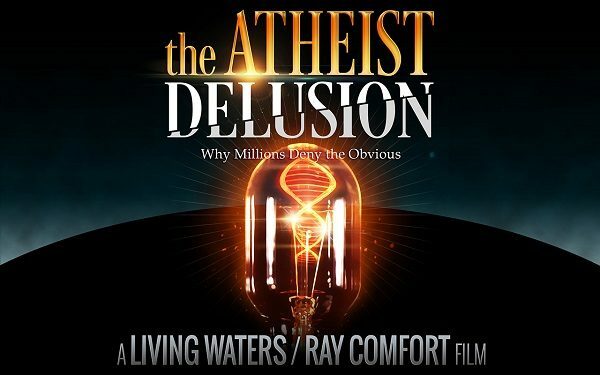 Description: This whole post is largely to showcase this new documentary by Ray Comfort's ministry. The Atheist Delusion is a must see movie. Definitely watch it and share it with everyone you know. Description: This is a very eye opening documentary. We live in such a cloistered world in the United States. But not too far from us, Christians are being persecuted and murdered for their faith in Christ. Bridge your awareness, learn about and support the persecuted ones. 3. Is there Evidence for God? Description: The Veritas forum facilitates discussions between Christians and atheists, as well as naturalists and agnostics to discuss the reason for God. William Lane Craig is an excellent apologist, definitely follow his work. 4. Is Jesus God? Excerpt from documentary "Mining for God"
Featuring: Lee Strobel, W.L. Craig, Gary Habermas, et al. Description: Mining for God is a documentary I really believe in. It's a great presentation of the robust evidence for the Christian worldview. Unfortunately it hasn't reached as many as I've hoped, so please share clips from the documentary on social media. It's a must see for non-believers. Description: This is a great documentary of interviews and discussions with young people mainly, attempting to help millennials understand the sanctity and value of human life. Specifically the topic of abortion is addressed. Check it out and share it with others!